PlayStation Portable (შემოკლებით PSP) — პორტატული ვიდეო თამაშების კონსოლი, რომელიც შექმნა და გამოსცა Sony Computer Entertainment-მა. კონსოლის გამოცემის შესახებ ინფორმაცია E3 2003-ზე გაცხადდა და 2004 წლის 11 მაისს წარმოადგინეს იგი სონის პრეს-კონფერენციის წინ E3 2004-ზე.. სისტემა გამოუშვეს 2004 წლის 12 დეკემბერს იაპონიაში, 2005 წლის 24 მარტს ჩრდილო ამერიკაში, ხოლო PAL რეგიონში ამავე წლის 1 სექტემბერს. როგორც ნაწილი მეშვიდე თაობის კონსოლებისა, კონკურენციას უწევდა Nintendo DS-ს. გამოსვლისთანავე PSP იქცა ყველაზე მძლავრ პორტატიულ სისტემად და იყო ერთადერთი კონსოლი, რომელმაც რეალური საფრთხე შეუქმნა Nintendo-ს პორტატიული სისტემების დომინანტობას ბაზარზე. (მანამდე SNK-ის და Nokia-ს მცდელობა კრახით დამთავრდა) იმ დროისთვის ის აღჭურვილი იყო მაღალი დონის გრაფიკული პროცესორით. მაშინ როდესაც მისი 4.3 ინჩიანი ეკრანის და მულტიმედიური შესაძლებლობების წყალობით, (როგორებიც არის ვიდეო დამკვრელი და TV-ტუნერი) იმ პერიოდში, PlayStation Portable იქცა ძირითად მობილურ გასართობ მოწყობილობად. მას ასევე გააჩნდა PlayStation 3-სა და ინტერნეტთან მირთების შესაძლებლობა. PlayStation Portable არის ერთადერთი პორტატული ვიდეო თამაშების კონსოლი, რომელიც იყენებს ოპტიკური დისკის ფორმატ Universal Media Disc-ს, როგორც მის ძირითად შენახვის საშუალებად. ორიგინალი PSP-ის მოდელი (PSP-1000) 2007 წელს ჩანაცვლებული იქნა განახლებული და თხელი მოდელით, PSP-2000-ით. 2008 წელს ამას მოჰყვა შემდეგი განახლებული ვერსია - PSP-3000, რომელიც მოიცავდა ახალ ეკრანს და ჩაშენებულ მიკროფონს. სრულიად სახეშეცვლილი ვერსია, PSP Go გამოვიდა 2009 წელს, რასაც მოჰყვა ბიუჯეტური ვერსია PSP-E1000, ხოლო 2011 წლის 11 დეკემბერს, PSP-ის ხაზი ჩაანაცვლა PlayStation Vita-მ. ეს უკანასკნელი უკუთავსებადია PSP-ის თითქმის ყველა თამაშთან, რომელიც ვრცელდება ციფრული სახით PlayStation Store-ის მეშვეობით. 2017 წლიდან მოყოლებული, PlayStation Portable-ის თამაშების შეძენა შესაძლებელია მხოლოდ ამ მეთოდით, რადგანაც 2016 წლის 31 მარტს სონიმ შეწყვიტა PSP-ის პირდაპირი წვდომა PlayStation Store-თან. 2014 წლის ბოლოს სონიმ შეწყვიტა PSP-ის წარმოება. მსოფლიოს მასშტაბით გაიყიდა კონსოლის 80 მილიონი ასლი. შეგიძლიათ იხილოთ მედიაფაილები თემაზე „PlayStation Portable“ ვიკისაწყობში. ↑ 1.0 1.1 Sony to Stop Selling PlayStation Portable by End of Year - TIME (3 ივნისი, 2014). წაკითხვის თარიღი: 30 დეკემბერი, 2016. ↑ Metro.co.uk, David Jenkins for. (27 November 2013) Xbox One v PlayStation 4: Who will win the next-gen console race?. წაკითხვის თარიღი: 30 დეკემბერი, 2016. ↑ Moriarty, Colin. (17 November 2014) Vita Sales Are Picking Up Thanks to PS4 Remote Play. წაკითხვის თარიღი: 30 დეკემბერი, 2016. ↑ Untold Legends: The Warrior's Code. Sony. დაარქივებულია ორიგინალიდან - 2006-11-12. წაკითხვის თარიღი: 2007-06-07. ↑ Platinum Titles. Capcom. დაარქივებულია ორიგინალიდან - 2015-02-08. წაკითხვის თარიღი: 2011-05-26. ↑ PSP Technical Specifications. Sony Computer Entertainment. დაარქივებულია ორიგინალიდან - 2008-03-13. წაკითხვის თარიღი: 2008-03-12. 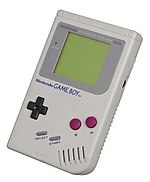 ↑ E3 2003: Sony Goes Handheld!. IGN (2003-05-13). წაკითხვის თარიღი: 2008-03-12. ↑ Miller II, Stanley A.. (2004-05-11) Sony aims to take on rivals. Milwaukee Journal Sentinel. ↑ PSP Japanese launch impressions. 1UP (2004-12-11). წაკითხვის თარიღი: 2008-03-12. ↑ Thorsen, Tor. (2005-03-24) The US PSP Launch. GameSpot. წაკითხვის თარიღი: 2008-03-12. ↑ Roper, Chris. 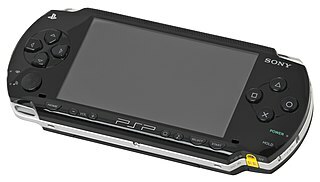 (2005-03-28) Sony PSP vs. Nintendo DS. IGN. წაკითხვის თარიღი: 2008-03-12. ↑ PSP – About – Multimedia. Sony Computer Entertainment. დაარქივებულია ორიგინალიდან - 2008-03-17. წაკითხვის თარიღი: 2008-03-12. ↑ Waters, Darren. “Sony promotes vision of mobile video“, BBC News, August 30, 2005. ↑ User's Guide – Remote Play. Sony Computer Entertainment. წაკითხვის თარიღი: 2008-03-12. ↑ Support – PSP – Connecting to the Internet. Sony Computer Entertainment. დაარქივებულია ორიგინალიდან - 2008-03-13. წაკითხვის თარიღი: 2008-03-12. ↑ E3 2003: PSP Press Release. gamedaily.com (2003-12-31). დაარქივებულია ორიგინალიდან - 2008-03-23. წაკითხვის თარიღი: 2008-03-12. ↑ Support – PSP – Movies. Sony Computer Entertainment. დაარქივებულია ორიგინალიდან - 2008-03-15. წაკითხვის თარიღი: 2008-03-12. ↑ “Sony to Stop Selling PlayStation Portable by End of Year“, Time, Time Inc., 3 ივნისი, 2014. წაკითხვის თარიღი: 4 ივნისი, 2014. დაარქივებულია ორიგინალიდან - 4 ივნისი, 2014.
ეს გვერდი ბოლოს დარედაქტირდა: 14:34, 7 დეკემბერი 2018.